India is on a roll in ODIs of late, squashing all their opponents by comprehensive margins. They beat South Africa by 124 runs in the 3rd ODI at Newlands to take an unassailable 3-0 lead in the 6 match ODI series. One of the talking points of the series was the poor form of Rohit Sharma. Rohit was phenomenal in ODIs in 2017, scoring 1,293 runs in 21 ODIs at an average of 71.83 and a strike rate of 99.86 with 6 centuries. However, he has scored just 35 runs in the 3 ODIs in this series at a paltry 11.66 and a strike rate of 66.03. 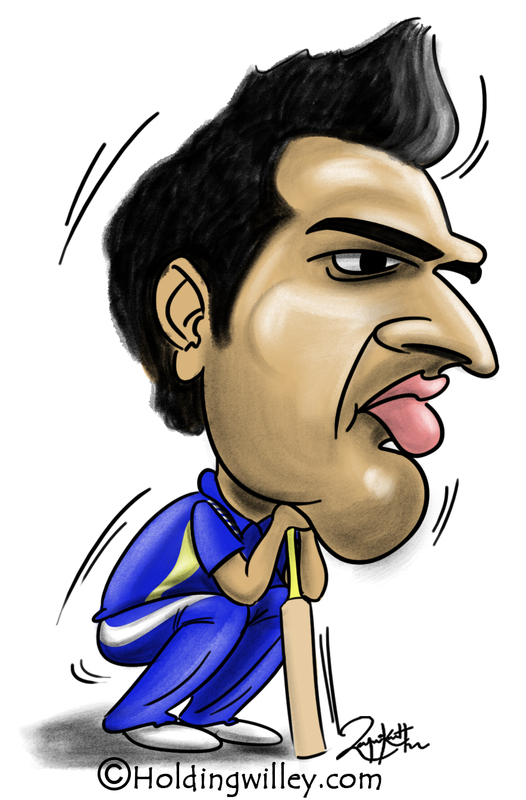 Is Rohit going through a bad phase or are we being too exacting in our expectations of him? Are we being realistic when we expect him to reproduce his scintillating form in the sub-continent in South Africa where the wickets offer more assistance to the bowlers in the form of lateral movement and pace and bounce? Let’s see what the numbers say. The table below gives Rohit’s career batting figures in ODIs across the world. While Rohit’s overall numbers are outstanding, his away average is 23 runs less than his home average. In fact, he has played 37 more ODIs away from home than at home, from which he has scored just 29 runs more away. Prior to this tour, he had played 8 ODIs in South Africa with just 86 runs at an abysmal average of 12.28 and a strike rate of 50.88. In all formats against South Africa in South Africa, he has scored just 347 runs at 18.26 with just 2 fifties from 18 matches. Therefore, we can conclude that it is unrealistic to expect Rohit to score runs at the same frequency and rate that he does on docile pitches in the sub-continent. Rohit’s game is based on great hand-eye coordination. He picks the line and length earlier than most mere mortals and is a nightmare to bowl on pitches where there is no lateral movement and he can just hit through the line. He has 3 double centuries, including the highest score in ODIs, 264 vs Sri Lanka at Eden Gardens in 2014. In early 2013, Mahendra Singh Dhoni promoted Rohit to open the batting in ODIs as he felt that Rohit had the horizontal bat shots to counter pace bowlers and take advantage of the field restrictions in the opening overs. Prior to that promotion in the batting order, Rohit had played 86 ODIs and scored 1,978 runs at 30.43, with a batting strike rate of 77.93 and just 2 centuries. After being promoted to open the batting, from January 2013 till the start of the current tour in South Africa, he had played 88 ODIs and scored 4,446 runs at an impressive average of 57.74 with a strike rate of 91.87 and 14 centuries. Opening the batting clearly gave him a new lease of life. The question to ask is whether Rohit is just going through a lean phase or is run making difficult for all openers in South Africa. South Africa is without a doubt a hazardous place for openers, as the pitches give the new ball openers a lot of assistance. The table below gives the overall career stats of openers from 7th December 1992 in the top 8 Test playing nations and the UAE, which is currently the home of Pakistan. The combined batting averages of openers in South Africa is the 5th lowest among the 9 nations and the strike rate is the 3rd lowest. It can be said with some justification that batting against the new ball is particularly difficult in the Rainbow Nation. Let us also look at the performances of openers who have scored at least 500 runs in South Africa. The table below gives the career batting stats of some of the best openers in ODI history in South Africa and in all countries while opening. All 6 openers average much less with the bat in South Africa than they do in their careers. 5 out of the 6 scored at a slower rate in South Africa than they did otherwise. There are still 3 ODIs left in the series and Rohit may come good as he is too good a player to fail for a long time. However, we need to be realistic in our expectations and not expect him to score double centuries at better than a run a ball.